Hello there! 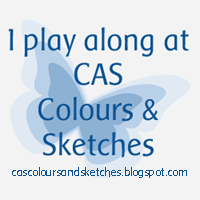 We are getting into the holiday spirit at CAS Colours & Sketches this month! Our color challenge this week is to take one of our CC&S color combinations from 2018 and make a seasonal card with it. I decided to revisit challenge #258 since it had a green and a red that seemed Christmassy to me. I had a brief thought of using the colors for a poinsettia but my plans for a coloring session got interrupted. So I went back to the proverbial drawing board and figured I could rework a card I made in 2015 with the different color scheme. The card came together pretty quickly once I got started with this layout. A couple of small changes that I made for today’s card are that I cut the squares from a scrap of green cardstock, rather than die-cutting them, and I used dimensional adhesive to pop up the ornament over top the squares. 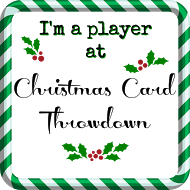 Since it’s the time of year for holiday themed cards, I’m submitting this card for the current challenges at The Paper Players and Cards in Envy. Which of our CC&S color combinations from 2018 will you use? 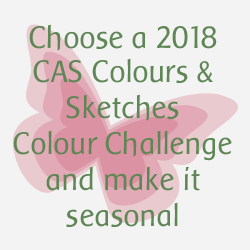 You can check all of them out on the CAS Colours & Sketches blog using the Past Colour Challenges tab. Be sure to see what the rest of the design team has made, too! Then link your card to the challenge site by 6:00 p.m. Eastern time Monday, December 10. We’d love to see what you come up with! Thanks for stopping by today. All supplies for today’s card are from Stampin’ Up unless otherwise noted. Hello there! 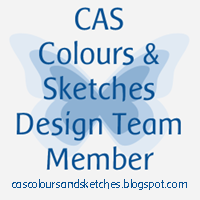 This month it’s my turn to create the color combinations and sketches for the challenges at CAS Colours & Sketches! I’m excited about it, and I hope you’ll join in and share your artwork with us! 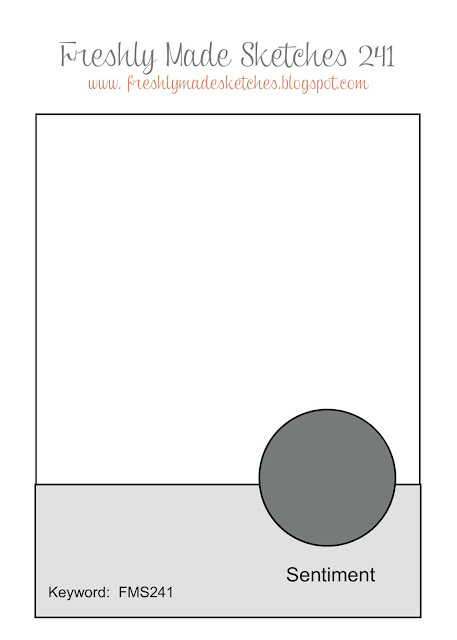 For this week’s color challenge, I decided to put an updated spin on a card I made back in 2007, before I had a blog. (It’s a little embarrassing to admit that the link is for a scan of the card, because this also was before I started using a camera to take photos of my cards!) 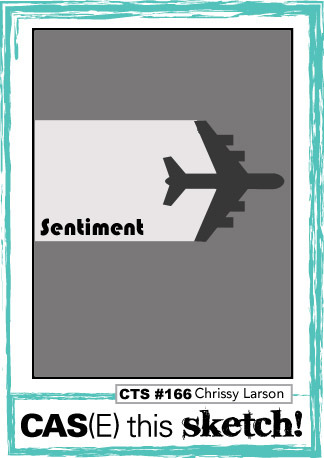 I’ve swapped out the colors used on that card for colors that are currently offered by Stampin’ Up. Of course, as with all of our CC&S challenges, you don’t need to use Stampin’ Up products – we just use their color names as a point of reference. I decided to use the current sketch from CAS(E) this Sketch! for the layout of my card. Instead of putting the sentiment on its own strip, I split the focal panel and stamped the sentiment in the gap, directly on the card base. I used a few pieces of scrap cardstock as shims to give a little dimension to the white panels. To get the two-tone effect on the blossoms, I inked the stamp with the lighter pink first, and then sponged some of the darker pink ink onto the stamp, before pressing the stamp on the cardstock. 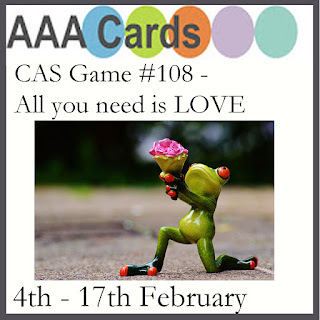 Valentines and love are popular challenge themes going on right now, so I’m entering this card at AAA Cards, The Paper Players, and Cards in Envy, too. 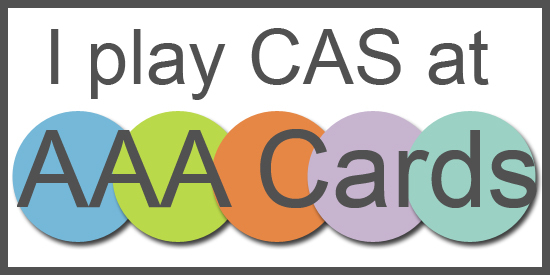 So – if you need further inspiration for the CAS Colours & Sketches challenge, go see what the rest of the design team has made! 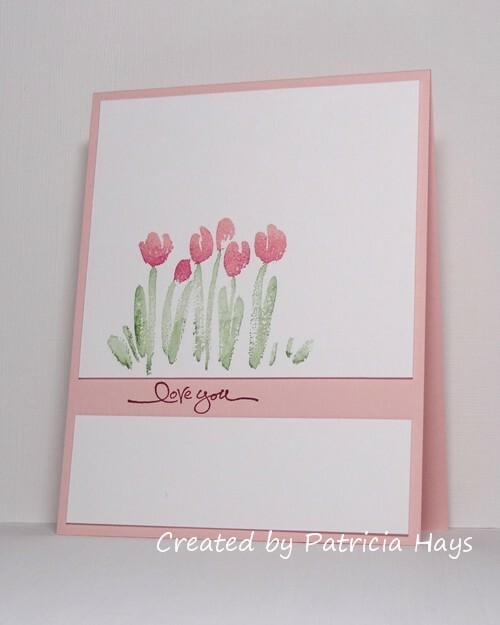 Then create your own clean and simple card using this week’s colors, and link it to the challenge blog by 6:00 p.m. Eastern time Monday, February 12. We’d love to see what you can do! Edited on February 11, 2017 to add: Thank you to the team at CAS(E) this Sketch! for naming my card as an honorable mention! What an awesome way to start my week! All supplies for this card, except the white cardstock, are from Stampin’ Up. Hi there! 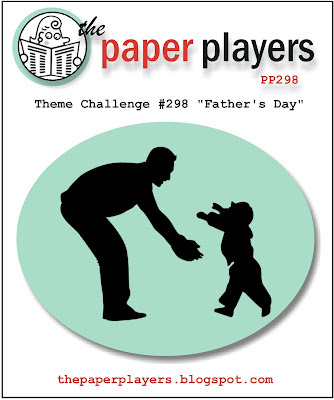 Today’s post is just a really quick one before the current challenge at The Paper Players ends. They wanted to see clean and simple styled cards that incorporated coloring. 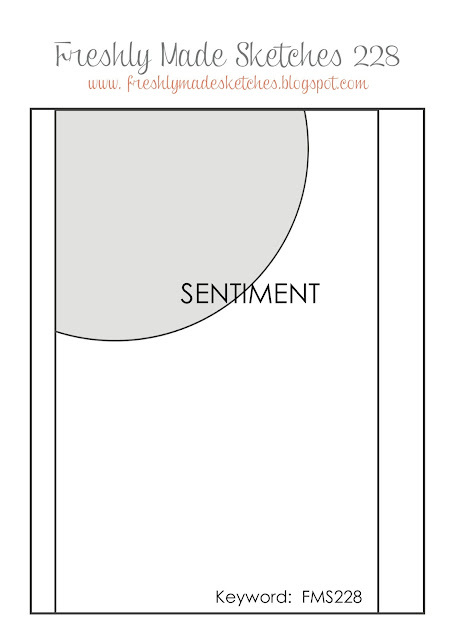 I also wanted to make something for the current Cards in Envy challenge to use a thought or speech balloon on a card. I’ve put together a card from bits and pieces left over from other projects. 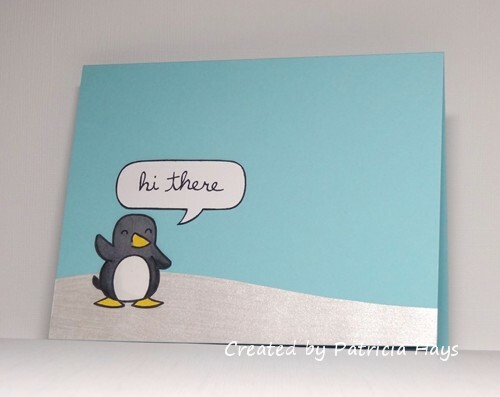 The penguin was already stamped; all I did with him for this card was color him and cut him out. I found a scrap on my desk that was just the right size for the speech bubble. I painted some shimmery white paint on another scrap of cardstock that I’d cut for the snowbank/ice for the penguin to stand on. And the card base was a half sheet of cardstock left over from another card. So yay for using up stuff! Thanks for stopping by today! Comments are always welcome and appreciated! Hello again! It’s the fourth Tuesday of the month, which means it’s sketch challenge time again at CAS Colours & Sketches. It’s been quite a while since I’ve used my floppy-eared bunny stamps, so I decided to pull them out and use one on today’s card. Being summertime, I felt that ice cream was an appropriate thing to include. I stamped the bunny on a piece of plain white cardstock, colored him, and then fussy cut him so I could adhere him to a piece of textured cardstock. The texture is subtle, but it does add a bit of extra visual interest. Having the bunny’s ears extend past the borders of his background panel was an intentional design choice to balance with the sentiment banner. I wanted to do a little something different to the ends of the banner, so I used an old corner punch. The narrowness of the sentiment banner combined with the punch gives the curvy, pointy result. 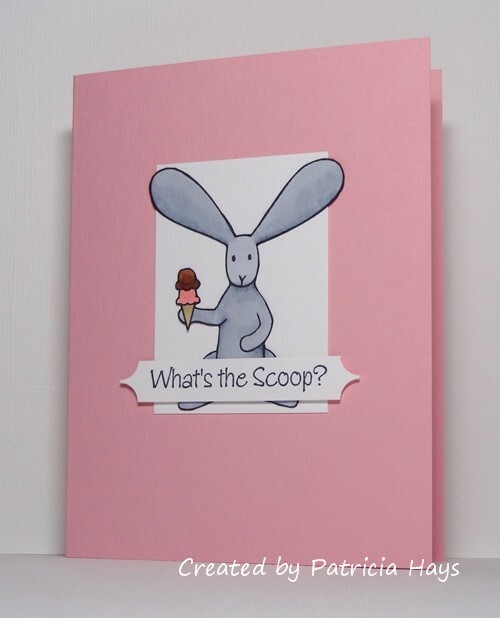 I chose the pink card base to coordinate with the strawberry ice cream on the bunny’s cone. Hopefully, this is enough pink to qualify the card for the “Baby Blue or Pretty Pink” challenge at Cards in Envy. I’m really looking forward to seeing what our challenge participants at CC&S create this week! Be sure to link your card at the challenge post by 6:00 p.m. Eastern time Monday, July 31. Thanks for stopping by today! It’s time for another challenge at Cards in Envy, and this time we’re taking on the theme of “It’s a Heat Wave”. This can be illustrated by using summery images or bright colors – anything that reminds you of summertime heat! For my design team sample, I’ve done a remix of a card I shared late last week, using bright summery colors. I masked off a square area and stamped around it to create a frame for the cake image. Then I removed the mask, stamped the cake, and colored it to coordinate with the colors of the ink I’d used. I added a coordinating mat and ribbon and rounded the bottom corner of the card before attaching the main card panel to the card base. Now it’s your turn! Check out the Cards in Envy site for all the challenge details and to see what the rest of the design team has made. Then share your creation(s) with us by 7:00 p.m. Eastern time Sunday, July 31. We’d love to have you play along with us! 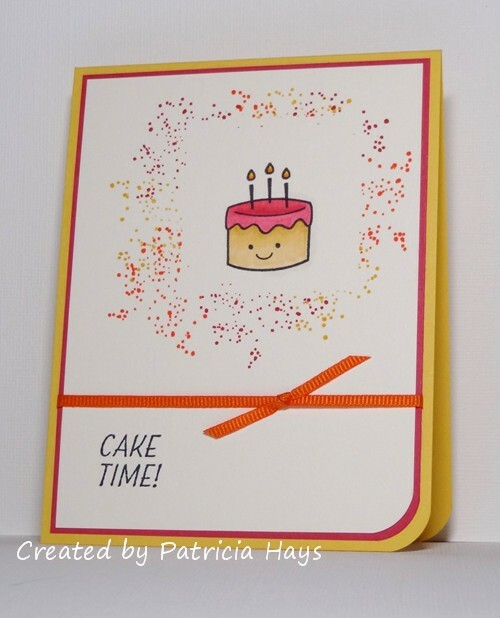 Posted by PH in VA at 1:00 am Cards, Cards in Envy, Lawn Fawn, Send a Smile 4 Kids, Stampin' Up! Hello! Here in the United States, it’s Independence Day, and at Cards in Envy we’re tieing into the patriotic mood with a theme of Stripes. 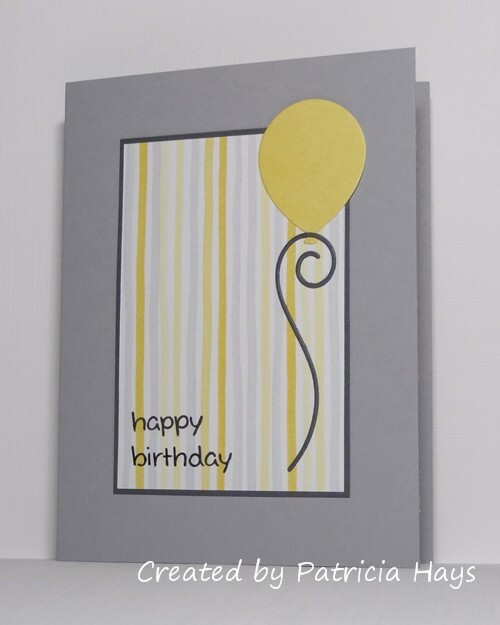 For this challenge, create a card featuring stripes of some sort. It doesn’t have to be a patriotic card; it can be for any occasion. The stripes can be stamped, die-cut, stenciled, or designer paper – whatever you can imagine, so long as it’s striped, it’ll work for the challenge. Remember too that your card needs to be flat enough to fit into an envelope and be mailed at the regular first class postage rate. I’ve gone with a birthday card for my card for the challenge. After all, Independence Day is regarded as America’s birthday. I gave my card a more neutral color scheme, though. I’ll be donating this card to Send a Smile 4 Kids, so I thought it was best to make it suitable to give to any person of any age. I used the current Freshly Made Sketches challenge for layout inspiration, but rotated the sketch 180 degrees. 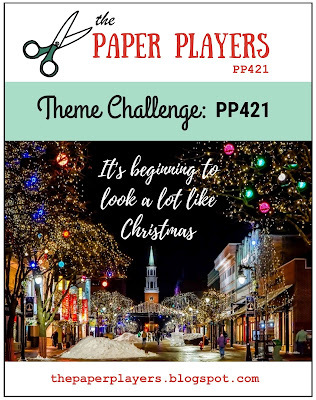 We hope you’ll have fun with this challenge and join in the fun and creativity! Link your card at the Cards in Envy site by 7:00 p.m. Eastern time Sunday, July 17. Thanks for stopping by today! 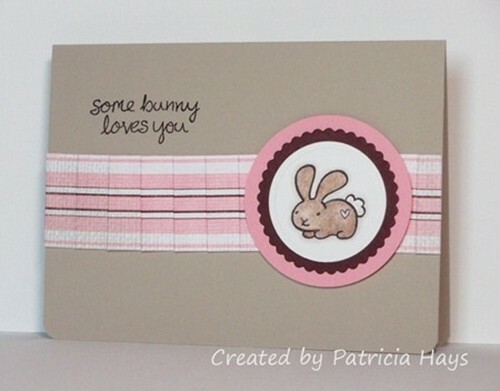 Posted by PH in VA at 1:00 am Cards, Cards in Envy, Freshly Made Sketches, Lawn Fawn, Send a Smile 4 Kids, Stampin' Up! It’s time for a new challenge at Cards in Envy! 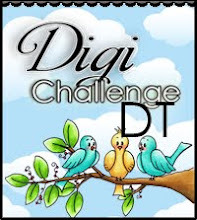 I have to admit that the full title of the challenge, “It’s a Great Day for a White Wedding”, has had me hearing Billy Idol in my head for the last several days. (I know the actual lyrics say “nice day”, but close enough.) Although the challenge title references “wedding”, we’re also accepting anniversary cards as part of the challenge. 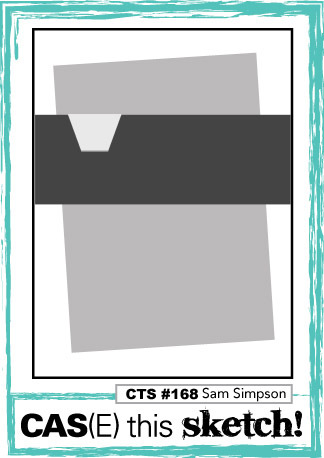 Just make sure that your celebratory card is flat enough to fit in an envelope so that it could be mailed at the standard first-class postage rate. I suppose my card really could go either way – wedding or anniversary. I haven’t put any sort of sentiment inside of it yet. It was really quick and easy to make. I started by coloring a scrap of white cardstock with a metallic pink Gelato and blending the color with a paintbrush dipped in a mix of water and bright pink reinker. When it was dry, I die cut a heart from it. 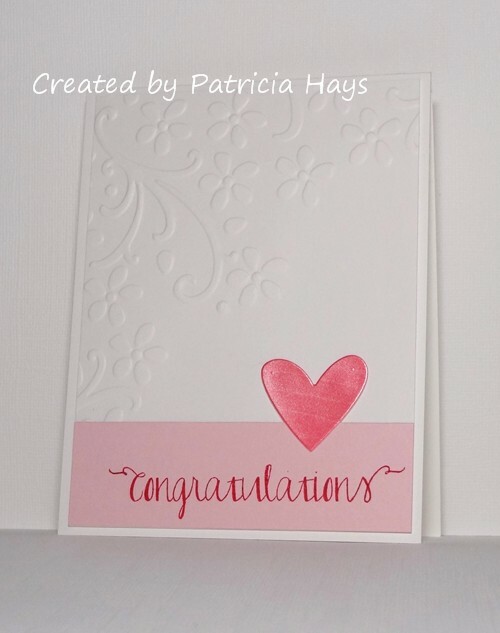 I embossed a panel of white cardstock, stamped my “congratulations” sentiment on a scrap of pink cardstock, and attached the pink to the bottom of the embossed white panel. I attached the panel to a white card base, using scrap cardstock shims behind the panel for a little bit of dimension, and adhered the die cut heart in place. The layout comes from the current challenge at Freshly Made Sketches. 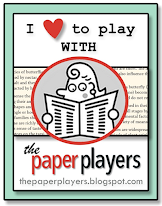 I’m also entering this card into this week’s challenge at The Paper Players. It’s their 300th challenge – WOW! Congrats to them for such a successful challenge blog! The Cards in Envy team has come up with some other great ideas, so be sure to check them out! We hope you’ll share your own wedding or anniversary card with us before the challenge closes. You have until 7:00 p.m. Eastern time Sunday, July 3, 2016 to link your card at the challenge post. Thanks for stopping by today! Hello! It’s the first Monday of the month, which means it’s Cards in Envy challenge introduction day! A few weeks ago we had the theme of “Just Us Girls”. This time we’re turning the tables with the theme of “No Girls Allowed.” Make a card suitable for a boy or a man, and make sure it’s flat enough to be mailed at the standard first class postage rate. Since Father’s Day will be coming up soon, I’m sharing a clean and simple Father’s Day card. It was a quick and easy one to make. I laid strips of designer paper on a diagonal, trimmed off the ends, added a sentiment, and attached the main panel of the card to a base of coordinating cardstock. It really doesn’t get much simpler! And it fits into the theme of the current challenge at The Paper Players. So now it’s your turn! Check out the Cards in Envy site for all the challenge details and to see what the rest of the design team has made. Then share your creation(s) with us by 7:00 p.m. Eastern time Sunday, June 19. We’d love to have you play along with us! Hello there! It’s the first Monday of the month, which means it’s time for a new challenge at Cards in Envy. Our challenge theme for the next two weeks is “Just Us Girls”. 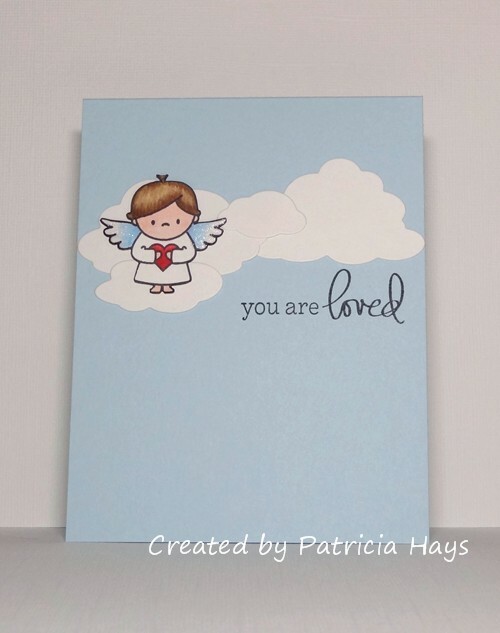 Create a card suitable to give a girl or woman of any age from 1 to 101. Remember that for our challenges, any embellishments must be less than 1/4″ thick, so that the cards can fit in an envelope and be mailed at the regular first-class postage rate. I’m trying to build up a stash of cards again for Send a Smile 4 Kids, so I decided to make my card suitable for a child. I confess that I was in a time crunch when I was making this card, so I fell back on a design I’ve used in the past. I cut a strip of designer paper that’s mostly pink and white. I pleated it to give it some extra visual interest before I attached it to the card base. I colored the bunny on a small piece of cardstock that I’d cut into a circle. I die cut a couple of mats for the bunny and assembled them all together. I added a sweet little sentiment, rounded the bottom corners, and my card was done. Be sure to check out what the rest of the Cards in Envy design team has made! Then we’d love to see your creativity! What kind of girly card will you make? 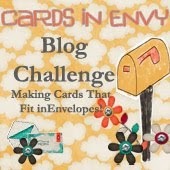 Share your card using the linky tool at the Cards in Envy site by 7:00 p.m. Eastern time Sunday, May 15. Thanks for stopping by today! Hello! 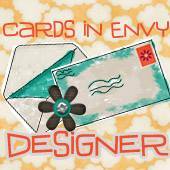 It’s time for a new challenge at Cards in Envy – where we make cards that fit in envelopes! Cards for our challenges should have no lumpy, bumpy embellishments more than 1/4″ thick, so that the cards can be mailed at the standard first-class postage rate. For the next two weeks, we’re focusing on the theme of “Another Year Older.” Birthday cards are always fun ones to send! I’ve used some older digital designer papers for my card. 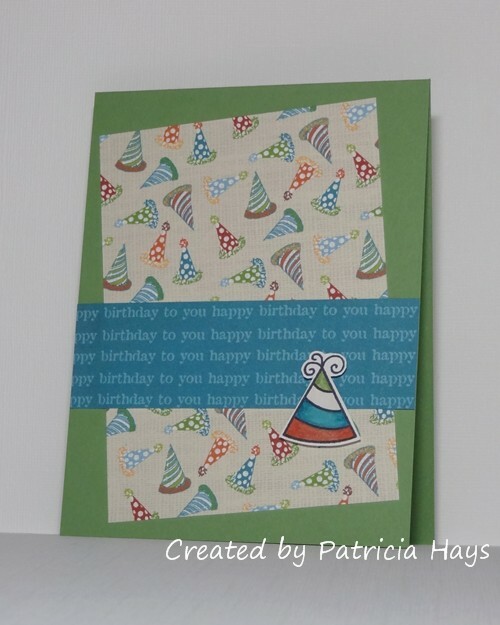 I stamped a party hat onto a scrap of white cardstock and colored it to coordinate with the designer papers. Then I fussy cut it out and attached it to the card with dimensional adhesive. I’ve used the current CAS(E) this Sketch! 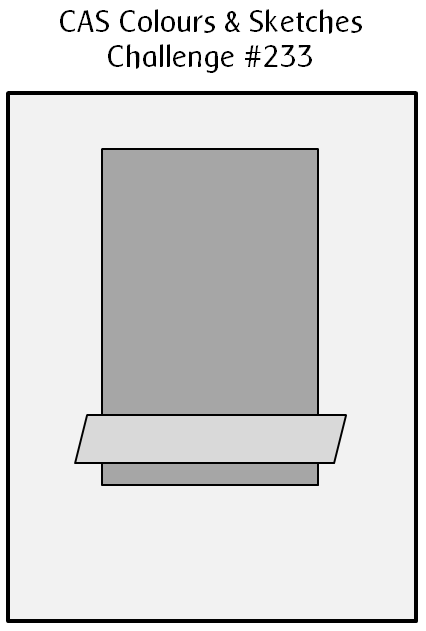 challenge for the layout of my card, but turned it upside-down so the triangular element would work better with the party hat. What kind of birthday card will you create? Will it be masculine or feminine? For a child or an adult? Or will it be neutral enough to be given to any person of any age? No matter what you make, we’d love to have you share it with us at Cards in Envy! You have until 7:00 p.m. Eastern time Sunday, May 1 to link your card at our challenge post. Thanks for visiting my blog today! 🙂 Comments are always welcome. 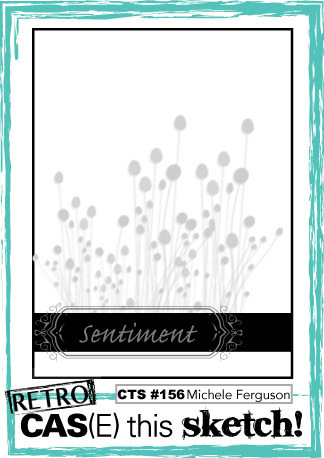 Posted by PH in VA at 1:00 am Cards, Cards in Envy, CAS(E) this Sketch!, Lawn Fawn, Lizzie Anne Designs, Stampin' Up! Hello there! The first Monday of the month brings a new challenge at Cards in Envy. For the next two weeks, we’d like to see cards based on the theme of “Flowers or Fantasy”. So long as your card shows some sort of flowers or fantasy creature, or a combination of them, it’ll be just fine for the challenge. Be sure that your card has no lumpy, bumpy embellishments more than 1/4″ thick, so that it could be mailed at the standard first-class postage rate. I wasn’t feeling a floral mood when I needed to make my card for this challenge. I have a stamp set with several fantasy creatures and decided to use the dragon image. I colored the dragon with metallic Gelatos, blending the colors with a damp paintbrush. I hope you can see the shimmer in the photograph. The rainbow-like background was made by rubbing yellow, orange, and red gel sticks on watercolor paper and blending them with a damp paper towel. (Some of my products are plain ol’ gel sticks, and some are the brand name Gelatos.) 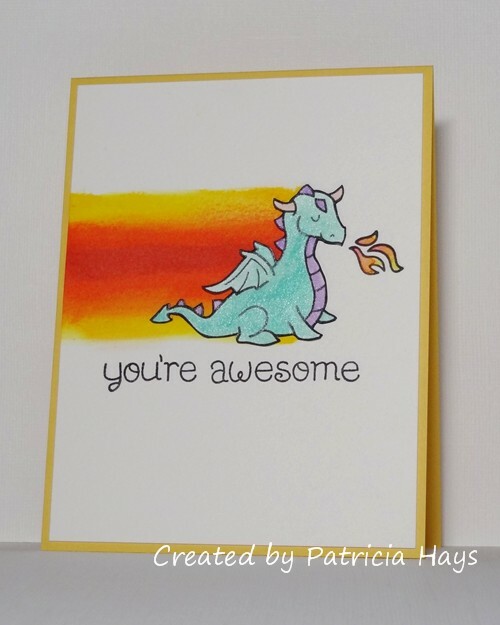 I fussy cut the dragon, fit him to the card with temporary adhesive to figure out where his fiery breath should be, and then stamped and colored the flames by touching the damp paintbrush to the gel sticks to pick up the color. I also stamped the sentiment before I glued the dragon into place, and then I attached the card panel to a coordinating colored base. I’ve used the current CAS(E) this Sketch! challenge for the layout of my card. Thanks for stopping by today! Now go check out what the rest of the Cards in Envy design team has made. I’m sure they’d love it if you visit their blogs and leave a comment. Then share your own fantasy or floral card with us at the CIE site by 7:00 p.m. Eastern time Sunday, April 17. We’d love to have you play along with us! Cards in Envy - Just Purple! Well hello! It’s time for another fun challenge at Cards in Envy. For the next two weeks, we have a spring-inspired color scheme of “Just Purple”. 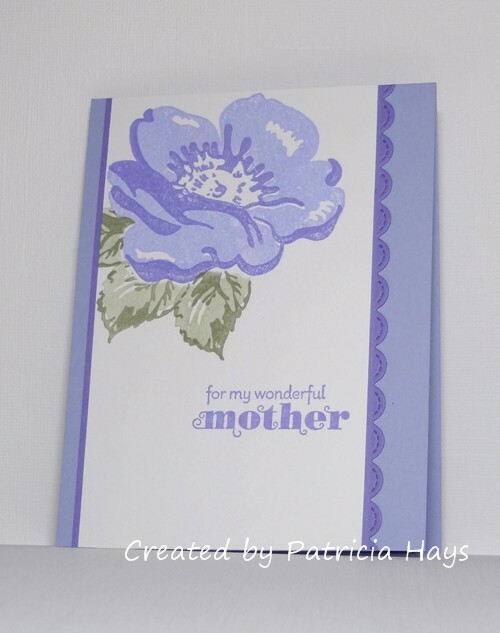 Cards made for this challenge should use purple as the dominant color, and have no lumpy, bumpy embellishments. 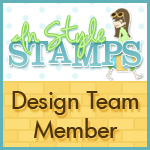 I’ve used a number of retired Stampin’ Up products for my card. The purple colors I chose have been out of the regular product line for several years, but I prefer their lighter shades to the current darker purples offered. The floral stamp set is also an “oldie but goodie”. 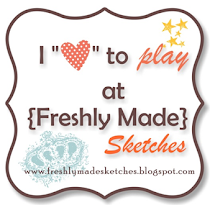 The layout for my card is the current sketch challenge at Freshly Made Sketches. I’ve moved the sentiment, but otherwise kept the sketch as it’s drawn. We hope you’ll have fun with this challenge and share your purple card with us at Cards in Envy! Link your card to our challenge post by 7:00 p.m. Eastern time Sunday, April 3. Happy crafting! All supplies except the scalloped die are from Stampin’ Up. 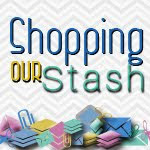 Posted by PH in VA at 1:00 am Cards, Cards in Envy, Freshly Made Sketches, Lawn Fawn, Stampin' Up! Hello! It’s the third Monday of the month, which means it’s time for a new challenge at Cards in Envy. This time we have a color challenge for you – “Tickled Pink”. 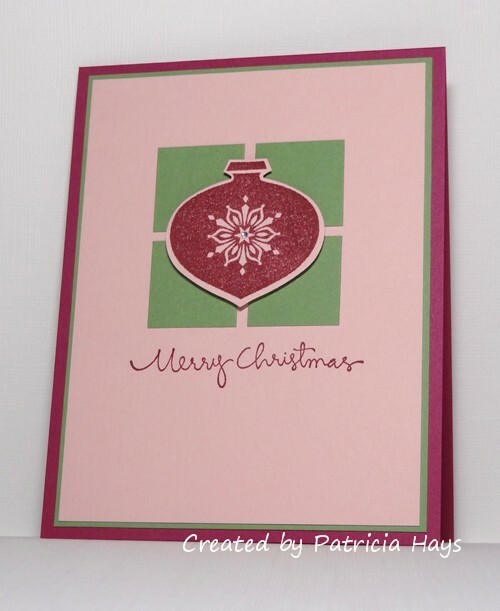 You can make your card for any occasion or theme you like, featuring the color pink, with no lumpy, bumpy embellishments that would prevent the card from being mailed at the first class postage rate. I actually made two “twin” cards for this challenge, so that my family could send one to my parents and one to my husbands’ parents for Valentine’s Day. 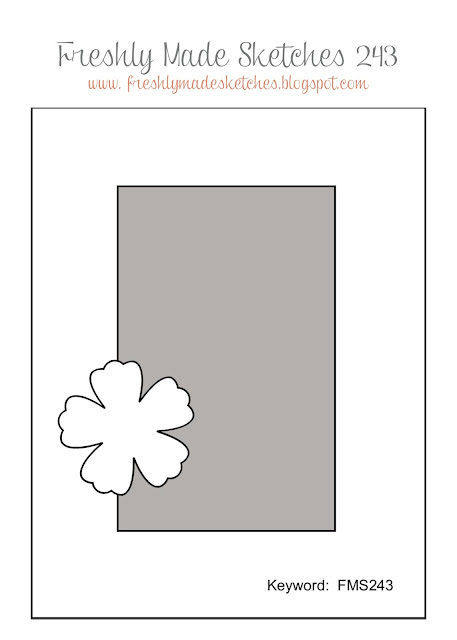 The layout for this card comes from the current Freshly Made Sketches challenge. I’ve used scraps of two different designer papers for the crossed strips elements. 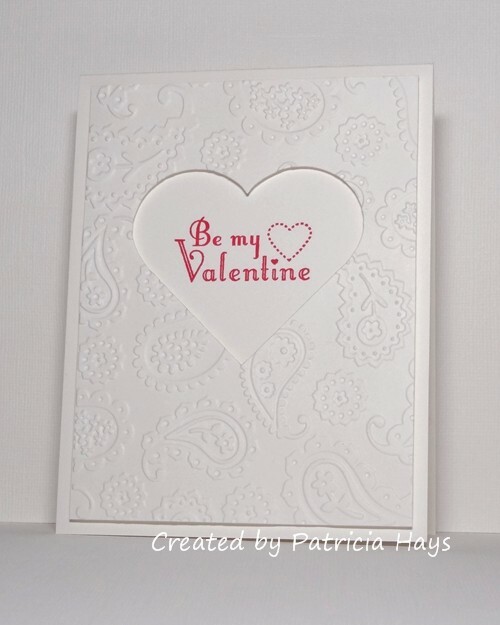 The heart was cut from white cardstock, embossed using one of my favorite embossing folders, and then sponged with pink ink to highlight the embossing and to give a little definition to the edges of the heart. A few scrap cardstock shims attached to the back of the heart help to raise it over the crossed strips. 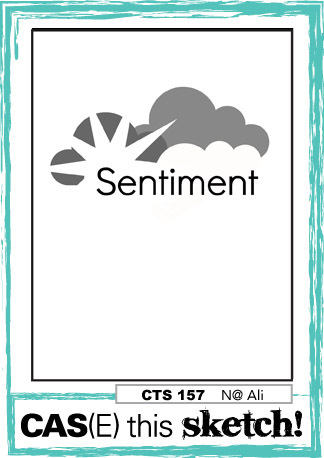 The sentiment banner is attached with dimensional adhesive so it can “float” above the heart. Since these cards were given from my family, I didn’t want the sentiment to read “I love you”, so I stamped the “love you” from one stamp and the “we” from a different stamp in the same set. If you need additional inspiration, please go check out the Cards in Envy site and see what the rest of the design team has made. Then create your own pink card following our challenge guidelines and share it with us on the Cards in Envy site by 7:00 p.m. Eastern time Sunday, March 6. We’d love to have you play along with us! Thanks for stopping by today. Posted by PH in VA at 1:00 am Cards, Cards in Envy, Lawn Fawn, Stampin' Up! Hi there! It’s the third Monday of the month, which means it’s time for a new challenge at Cards in Envy. For the next two weeks, we’re asking our challenge participants to share cards that are mostly white. 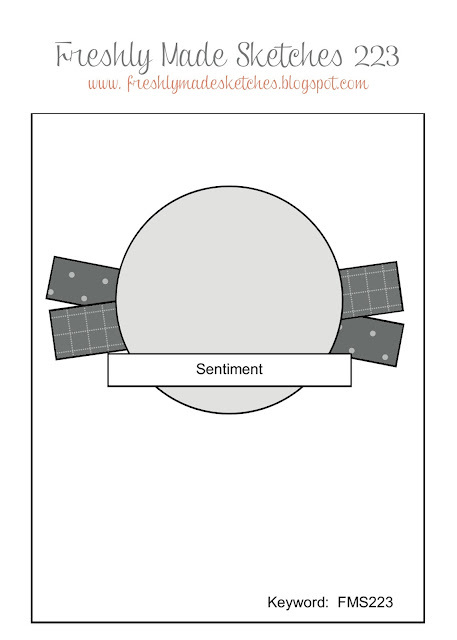 Remember, though, that the “in Envy” part of our challenge name means that cards for our challenges must be A2 sized and flat enough to be mailed at the first class postage rate. I’ve kept my card all white except for the sentiment. For the main panel, first I die cut the heart from white cardstock before using an embossing folder to give it some design. 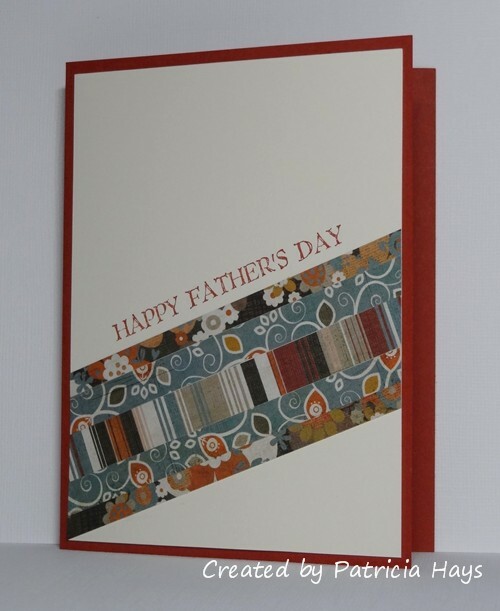 The sentiment is stamped on the card base, and the main panel is attached to the card with dimensional adhesive. Really, it was quite quick and simple to make! I’m going to submit this card into the current challenge at The Paper Players, where they are asking for clean and simple Valentines. 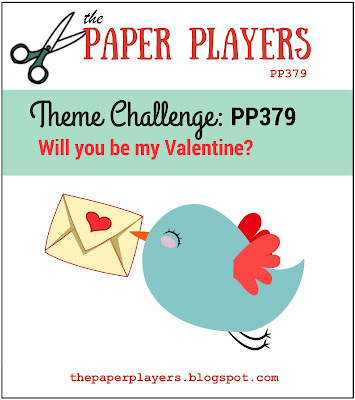 We hope you’ll have fun with this challenge and join in the fun and creativity! Link your card at the Cards in Envy site by 7:00 p.m. Eastern time Sunday, January 31. Thanks for stopping by today! Posted by PH in VA at 1:00 am Cards, Cards in Envy, Stampin' Up!